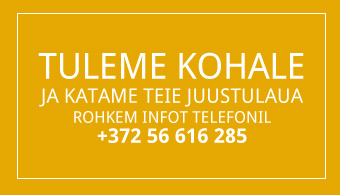 OÜ Deline has been importing and reselling finest delicacy products in Estonia since 2001. Our mission is to provide exclusive delicacies, but also products for everyday food experience. Future objective for OÜ Deline is to become a strong and severe import and reselling company, who can offer quality products with a good price. In 2008 we improved our logistics opportunities (shipment all over Estonia, storage and sales services), with the goal to offer quality products as wide as ever.